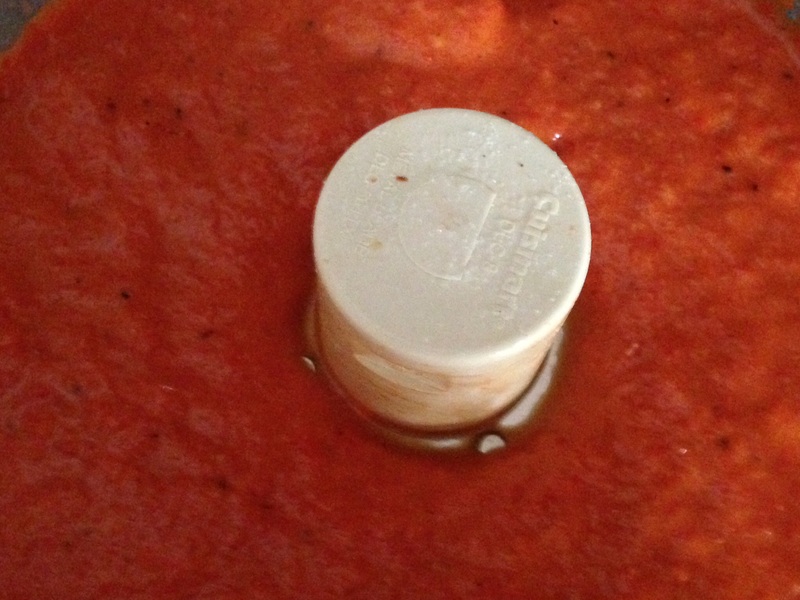 Impress your friends with truffled red pepper coulis! Have you ever experienced the smoky sweetness of a roasted red pepper coulis accenting a restaurant entree? Ever wondered what effort goes into producing this deliciousness? Refined restaurant flavors are easier to create in your own kitchen than you might think! This luxurious condiment is easy to make and versatile to use – not to mention compatible with almost any dietary restrictions. Typically, we think the purpose of sauces are bring life to something like a vegetable – to make it palatable, or at least to add much needed flavor. We don’t often think of using the concentrated flavors of vegetables themselves as a way to make meats, grains, or legumes more palatable! That’s exactly what coulis do. 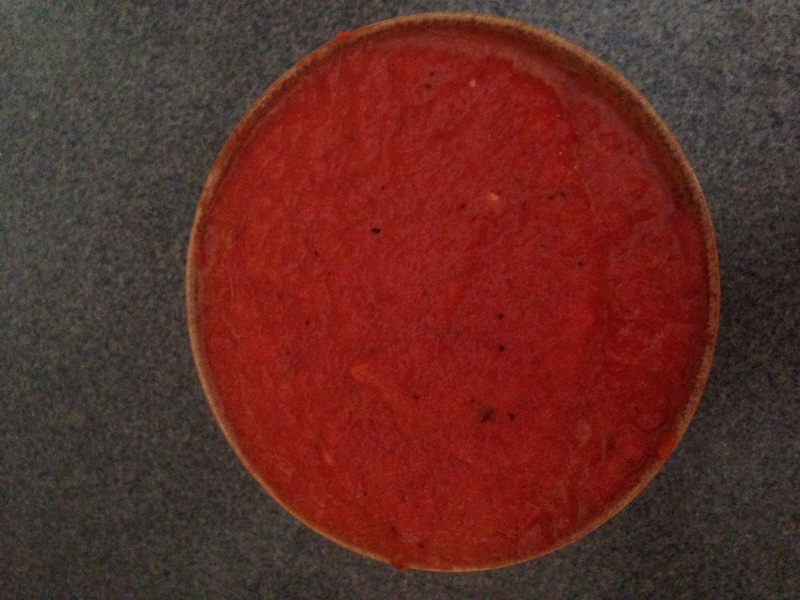 Coulis are sauces made from pureed fruits or vegetables. Their thick, velvety consistencies and intense flavors make them a perfect garnish or compliment to main dishes or desserts. Smoky, sweet roasted bell peppers, together with a hint of olive oil, black truffles, and fresh garlic are craving-worthy as coulis. Yet this recipe is so easy that I’m almost embarrassed to post it. Four ingredients, an oven, and a food processor or blender are all you need to create kitchen magic. A surprisingly small amount of oil with truffle essence adds so much flavor without empty calories or fat. Without peeling and straining the purée, the recipe can be made in 45 minutes start to finish (only about 10-15 minutes total active prep), so you won’t be a kitchen slave. It’s so easy, I’m almost embarrassed to devote an entire post to such a simple recipe on its own. Browse the Interwebs and you’ll see recipes are Blah Blah Blah with red pepper coulis or Bourgeois Dessert with Raspberry Coulis. Not just coulis. 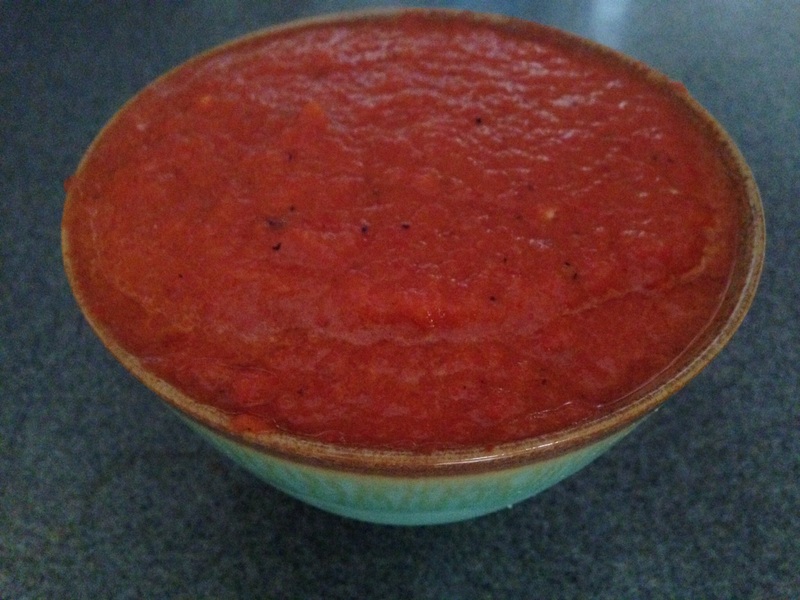 Roasted red pepper coulis, however, are too versatile to attach them to only one main dish. Vegetables: Add a bit of haute cuisine to asparagus, broccoli, cauliflower, or summer squash/zucchini. I’ve used the coulis as a compliment to chicken breast, quinoa pilaf, and sautéed mushrooms (different styles). Each of these dishes earned rave reviews from my guests. Whether you foresee multiple uses or not, double this recipe, and keep some on hand to add a touch of class to your next meal. Preheat oven to 425 degrees Fahrenheit. Slice peppers in half; remove stems and seeds. Place halves, skin side up, on a foil-lines baking sheet. Bake for 25-30 minutes, or until skins blister and begin to blacken (check the cut edges to prevent burning after about 20 min). Remove from oven and cool. I prefer to keep the skins intact in order to preserve the caramelized flavor of the blackened skin; if you are a purist, allow the peppers to cool and remove skins They should be fairly easy to peel by hand or with the aid of a paring knife. Transfer peppers to a food processor or blender. Add garlic, olive oil, and half of the salt. Purée until smooth. Gradually add additional salt to taste. Serve immediately or refrigerate in an airtight container for up to 5 days. Reheat in a small saucepan on low heat (simmer). Yield is approximately one cup. Servings vary depending on use (sauce vs. garnish).